If a one-stop beauty concept store tickles your fancy then Chanel Bettison has the answer for you. Chanel was inspired by her recent travels overseas and the trends she came across in cities like London, Paris and New York, where she drew inspiration for her very own beauty concept store. It is the perfect balance of ying and yang, and you can be pampered from head to toe, all under one roof. The idea of the concept store is that you are able to get a 360 degree beauty experience. Chanel’s store offers traditional manis and pedis, but this time with the option of using Chanel nail lacquers as your choice of polish, which most salons don’t offer. If you want your make-up and hair done before a ‘do, this is where to go. Nars make-up and Joico hair products will be used and if you are in need of a massage, facial treatment or chemical peel, this is where you can be treated. If you want to get a complete makeover and surprise someone, why not treat yourself to a bit of Botox, eyelash extensions or teeth whitening? All of these options are offered at the Chanel Bettison Beauty Concept Store. If you and a bunch of friends fancy getting these treatments done together and dressed and ready to go out for a night of fun, Chanel opens up her concept store for that too. 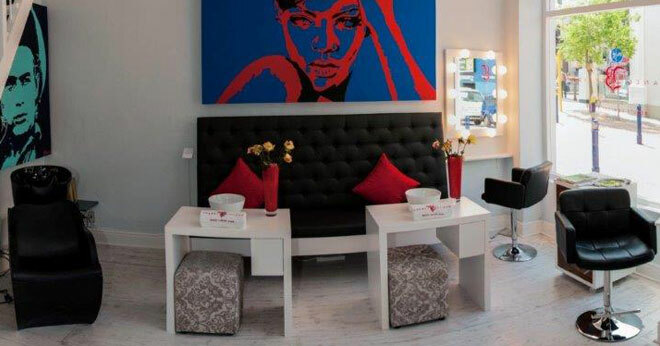 The CHANEL BETTISON Beauty Concept Store is located at 71 Shortmarket Street, Cape Town. For more information visit www.chanelbettison.com or call Chanel on 074 541 0539. What an awesome concept! I will definitely be paying them a visit! What a great concept. Would love to be pampered by them. What a great concept. I love those paintings on the wall.